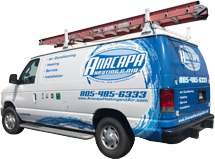 Anacapa Heating & Air is dedicated to meeting the heating and cooling needs of those living and working in Westlake Village. While this community benefits from a mostly warm and temperate climate, reliable heating and air conditioning is still necessary for optimal indoor comfort. By calling Anacapa Heating & Air when you need heating and air conditioning service, you can always trust that you'll get an experienced, thoroughly trained, and highly skilled HVAC technician who is proficient in troubleshooting, repairing, maintaining, and installing HVAC systems. Our tech will arrive in a fully stocked service vehicle with state-of-the-art diagnostic and inspection tools and a large assortment of the most commonly needed parts and materials. You'll be provided with honest advice and cost-effective solutions that are personalized to your specific heating and cooling needs and preferences. Additionally, you'll always get fair and affordable prices and exceptional customer service. 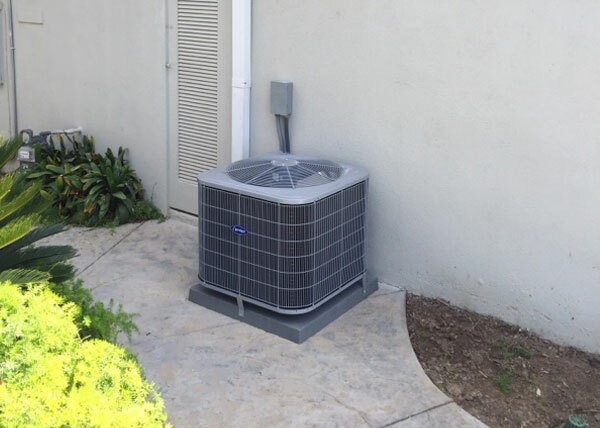 Because we have worked hard to design services that address the unique needs of Westlake Village's homeowners and businesses, we've become a trusted, local heating and air conditioning provider. Over the last 20 years, we've earned a loyal customer base and served thousands of satisfied clients. Additionally, we can count on a large percentage of our new business to come from customer referrals and positive word of mouth. If you'd like to find out why Anacapa Heating & Air is the premier choice for heating and air conditioning services in Westlake Village, give us a call today. We are available Monday through Friday, 8am to 5pm, to provide expert furnace and air conditioner repairs, tune-ups, and installations/replacements. Westlake Village customers can also count on us for emergency heating and air conditioning service because we have technicians on call 7 days a week. Keep reading to learn more about our most frequently requested HVAC services. If your air conditioner or furnace isn't effectively warming or cooling your house or it's completely stopped working, it's time to give Anacapa Heating & Air a call. Our HVAC service technicians are NATE certified, receive ongoing, in-depth training, and have years of experience diagnosing and repairing all types of heating and air conditioning systems, from older model gas furnaces and air conditioning units to today's most technologically advanced systems. We work on all major HVAC brands and provide factory authorized warranty repairs for Carrier heaters and air conditioners. We provide upfront, flat-rate pricing and keep our service vehicles well stocked with the most commonly needed parts and materials so that the majority of air conditioner repairs are completed on the same visit. Call (805) 485-6333 to schedule heating or air conditioning service at your Westlake Village home or business. Our service calls are just $69 and include a complete diagnostic. This fee can be applied toward the cost of your repair. At Anacapa Heating & Air, we stand behind our furnace and air conditioner installations with a 100% customer satisfaction guarantee for one full year. We're able to offer this guarantee because we are completely confident in the quality of our workmanship and products. Every furnace and A/C installation is performed by a NATE-certified, factory trained HVAC technician with years of experience, ensuring that every heating and air conditioning system is designed and installed according to the industry's highest standards. Moreover, we only sell and install highly rated heating and air conditioning products made by Carrier. Carrier is one of the world's leaders in heating and air conditioning solutions, and is known for their commitment to excellence. We're proud to be a Carrier Factory Authorized Dealer, a title that is hard earned, not given. Call today to learn more. 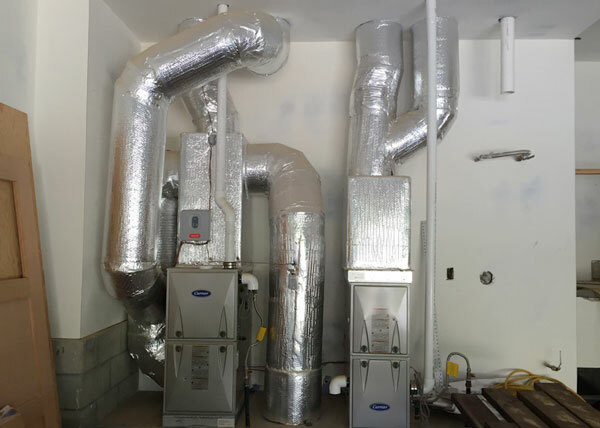 For new furnace and air conditioner installations in the Westlake Village area, we offer free on-site consultations and estimates. During a consultation, we'll take the time to evaluate your heating and cooling needs and personalize a solution just for you. Your heating and air conditioning system requires regularly scheduled tune-ups to keep it running reliably, safely, and efficiently. How often your system needs to be tuned-up depends on what type of equipment you have and how frequently you use it. If you need help determining the best preventative maintenance schedule for your needs, give us a call. Our heating and cooling experts are readily available to provide honest advice and recommendations for routine maintenance as well as high-quality, affordable furnace and air conditioner tune-ups in Westlake Village and the surrounding area. We charge just $79 for an air conditioner or furnace tune-up. For an even greater value, we welcome our Westlake Village customers to consider joining our Preventative Maintenance Club. This Club helps keep you up to date on your recommended maintenance schedule and gives you priority scheduling and 10% off parts and materials for repairs. Anacapa Heating & Air is the best choice for residential and commercial ductwork cleaning services in the Westlake Village area. Clean air ducts keep your HVAC system running efficiently, and they prevent harmful pollutants from circulating throughout your property. Smoke, pet dander, mold, pollen, dust, and bacteria are just a few of the harmful pollutants that can be distributed throughout your home or business due to leaky, dirty ductwork. This is why we use BrushBeast, the highly-effective duct cleaning equipment developed by Rotobrush. BrushBeast's powerful vacuum is safe to use on all types of ductwork, and it loosens debris and build up to improve the indoor air quality in our clients' businesses and homes. Additionally, we provide ductwork sealing and repairs to help keep dirt, debris and pollutants from getting into your air ducts through gaps and small holes. Give us a call today for an estimate on our air duct cleaning and/or sealing services. They are absolutely professional! They are customer service oriented and love the fact they are highly knowledgeable!